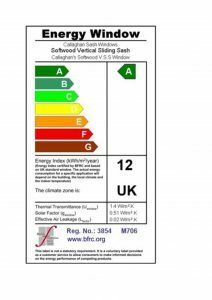 Energy efficient windows, U values and A ratings – do you understand your choices? It is important to get your facts right so that you will be living with the best window choice for you. There is lots of technical data available but don’t be baffled by science. This simple guide will explain exactly what these terms mean to you and life in your home. So, you have decided to invest in improving your windows and doors. Your heating bills are too high and your home is never as warm as John’s next door. You have heard of thermal efficiency but don’t want to seem ignorant when you meet with the salesperson from the window company. I’m going to help you simplify a minefield of boggling information so that you can make an informed decision. I’ll dispel any myths around U values and A rated windows and doors in Ireland that can be misunderstood. What does the U-value mean? The U-value tells you how much heat stays in a room. The U-value measures the heat retention through a window or a door – the glass, the timber and the seals. A lower U-value means more heat is kept inside a house on a cold day. It is a complex calculation as it takes into account the material and construction of the frame, the glazing bars, the glazing and the seals. The result is the Uw value, measured as Watts per square metre. Be careful with quotes – is the U value for the glass only or does it include the frame? Ask the question if it is not clear. An A-rated window is the top energy rating that can be give to a window. Energy ratings are similar to the colour coded ratings on your electrical appliances and the BER rating given to property. 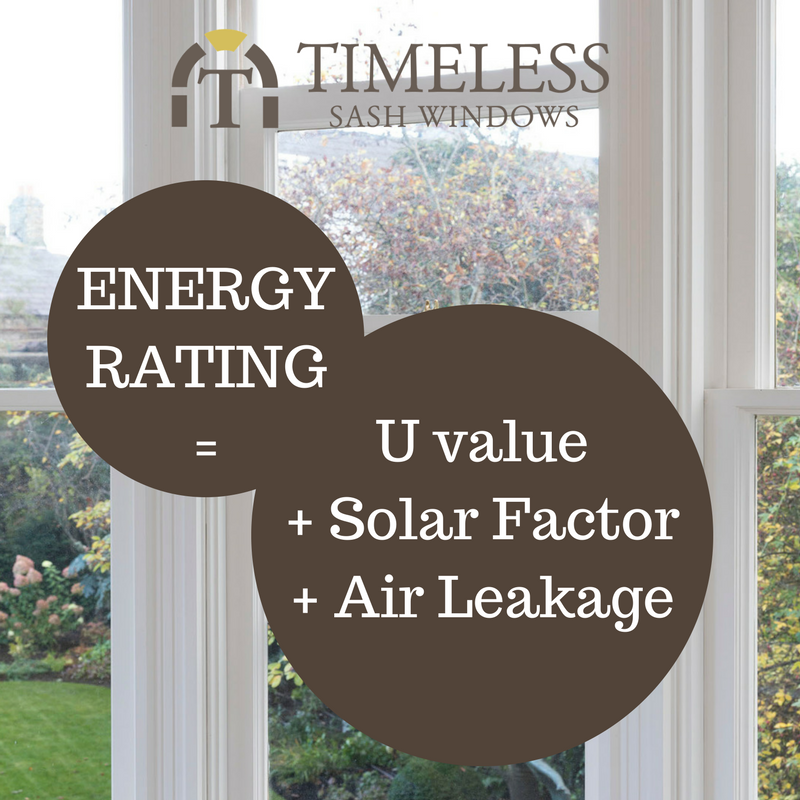 An energy rating that is given to a window includes the U-value, but also takes into account the solar heat gain and air leakage. Energy ratings are graded from A to G, with A being the best. For example, if you have a window that has a lot of air coming in around it, or draught, it has the same U value, but the energy rating has decreased. U value measures the insulation of the whole window (glazing and frame) or door, or how well it keeps the heat in in the cold weather. The lower the value, the better the insulation and the greater efficiency of the window. Solar factor measures the transmittance of sunlight through the window. Sunlight is split into the visible and non-visible spectrums. In the non-visible spectrum UV light entering causes fabrics to fade and Infra red light is the heat energy. The visible light is what we can see. Glazing technology is so advanced that there are special coatings – E coatings – that allow less UV and IR light in, yet not impede the visible light from entering. 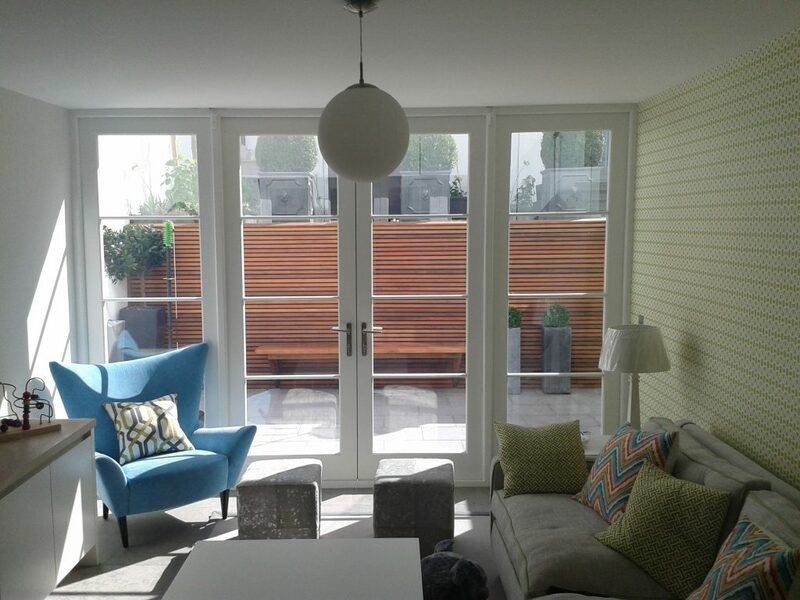 Low E glass, or low emissivity, lets the sun in but reduces how much escapes. This is called solar gain. Air Leakage measures the tightness of the seals. A well made window will have little or no air leakage. Again here, the lower the number is an indicator of better performance. In Ireland the energy efficiency of your home is called the BER rating. These standards exist throughout Europe with different names. The Self Build website has an excellent article here that explains how to apply to get your home tested. It is worth remembering that if you have a new build property, the energy performance certificate must be in place within 5 days of completion. SEAI – Sustainable Energy Authority Ireland. This national body promotes Ireland’s future in newer, cleaner and more sustainable energy. BER rating – Building Energy Rating. This is a measure of the overall energy efficiency of a building and is classed from A1 to G, with A being the most efficient with typically lower energy bills. G is the least efficient. A BER assessor registered with the SEAI (Sustainable Energy Authority Ireland) will calculate the rating of your home if it has not previously been done. You need a BER certificate if you are selling or renting your house in Ireland. These are normally valid for 10 years. BFRC – British Fenestration Registration Council – independently provide individual ratings to windows and doors. NSAI – National Standards Authority Ireland – national standards for product compliance with health, safety and environmental protection (CE) for sale within the EU. In all cases, beware, as the energy rating or U value of a window or door means nothing if it is not correctly fitted. Ensure that you hire a reputable joiner to fit them correctly to avoid any issues in the future. 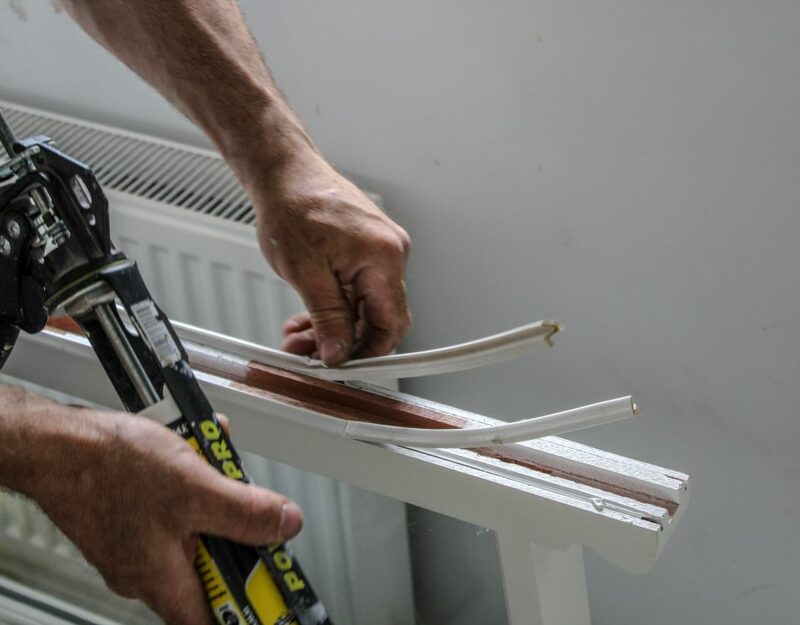 Most companies that manufacture their own windows, such as here at Timeless Sash Windows, also have a team that can install them to the highest standards of quality. What other factors should you consider for energy efficiency? If you decide not to change your windows, you can improve the energy efficiency of your home by closing the shutters and curtains, insulating the hot water tank and insulating the attic. UK website YouGen states that about 10% of energy lost through a house is from the windows. So bear in mind that insulating the walls and roof will be necessary for real changes to your energy bills. The seal around the windows is an important factor that should also be checked and advice taken. Factory produced windows can get an A energy rating and good U-value, but any changes to the standard mean that the rating is lost. Bespoke windows should be individually tested. 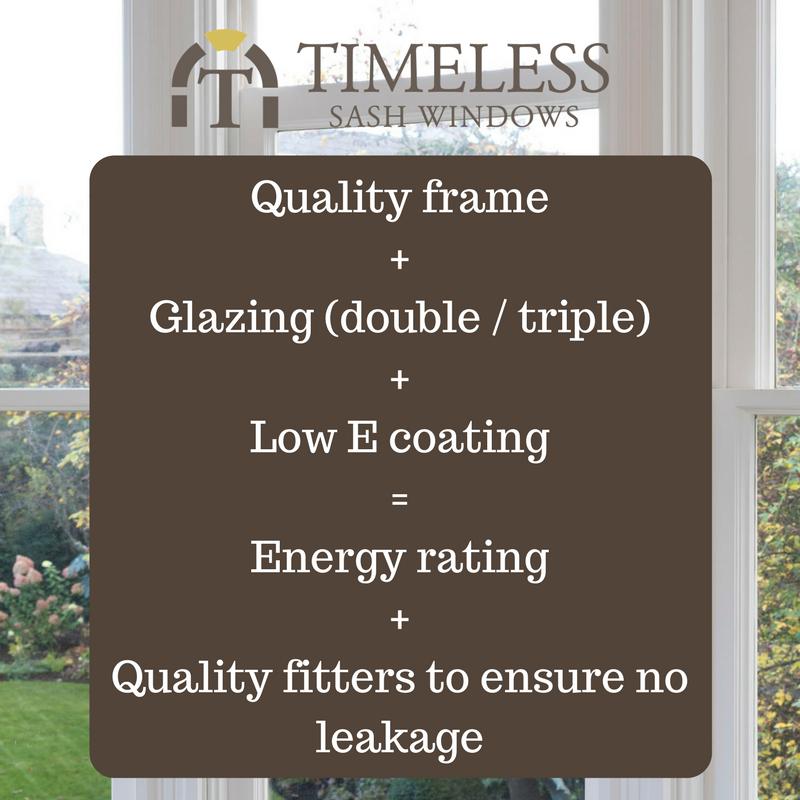 How can Timeless Sash Windows help you? Timeless Sash Windows are a joinery that have been established for more than 40 years. 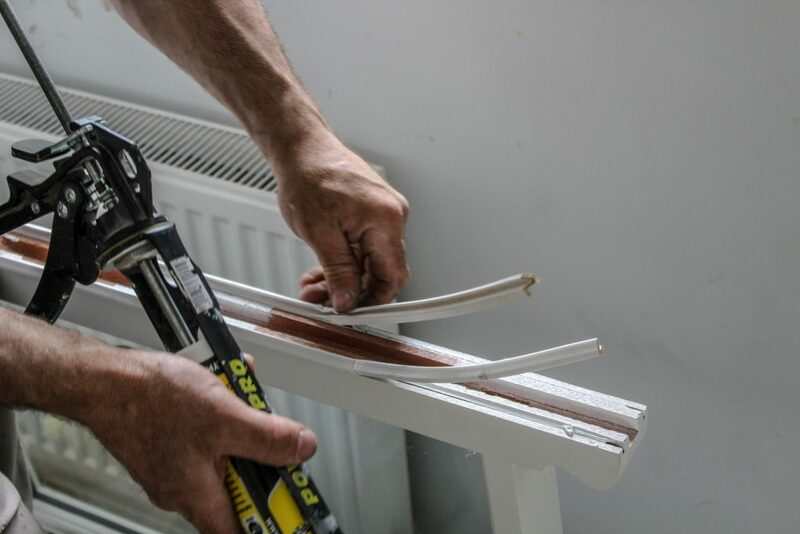 With a wealth of experience in Georgian and Victorian sash window repair and refurbishment, we can also offer new timber sash and casement windows with certified U-values or an A-energy rating. Our specialists can advise you what would be the best window choice for your home to ensure the warmest and most energy efficient solution. Timeless Sash Windows are some of the most elegant windows in Ireland that can combine energy efficiency to provide the ultimate in beauty and warmth. The decision ultimately is yours. If you have any questions, you can leave them in the comments section below or email us at info@sash.ie or call one of our experienced team at 046-9023323. Maybe you would like to add something to this article? I hope this will help you to have an open discussion and informed decision around the future of your windows. Hi. 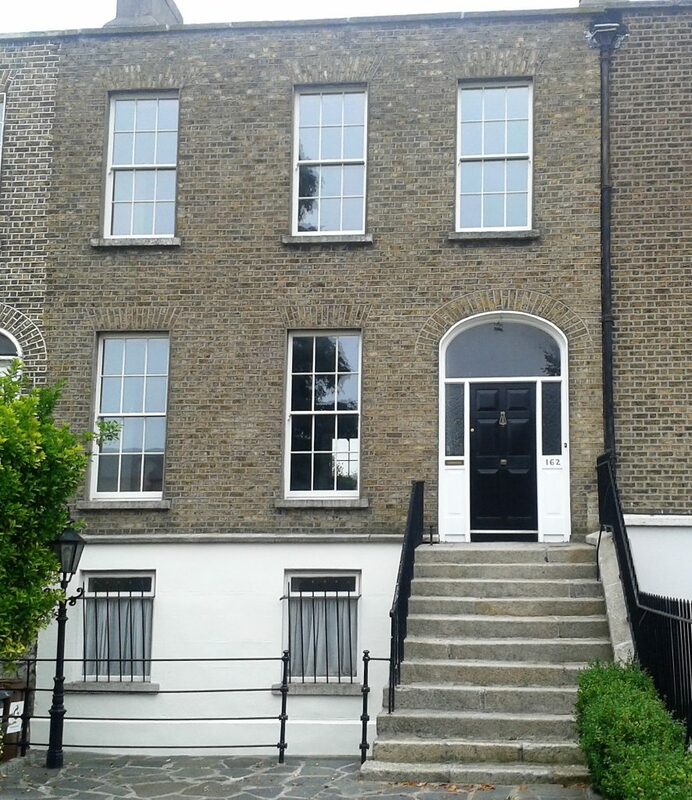 We’re embarking on a renovation project in Belturbet, Co. Cavan and would appreciate your advice regarding internal door and SASH window restoration. Hello Patricia, I have sent you an email to discuss. Have a lovely day.